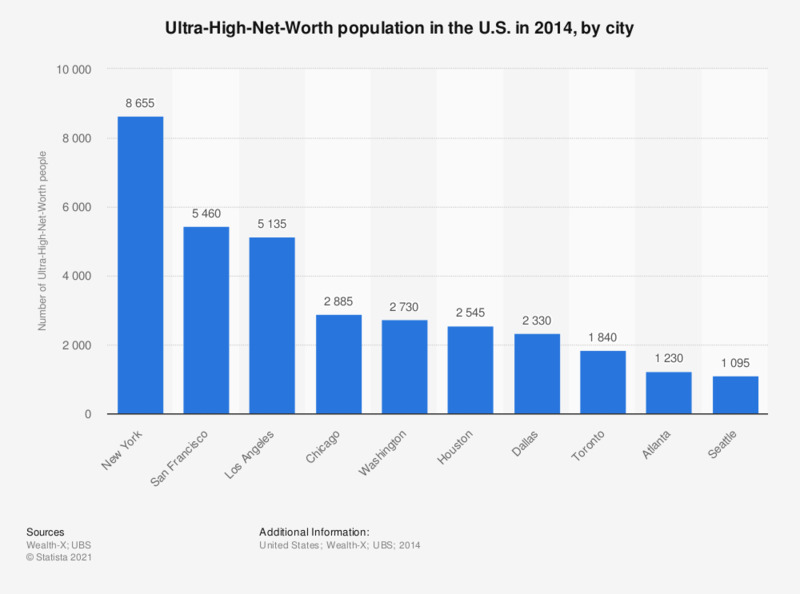 This statistic shows the number of the super-rich, or Ultra-High-Net-Worth, persons in the United States in 2014, sorted by city. New York has the largest concentration of super-rich individuals; about 8,655 UHNW (Ultra High Net Worth) people are living in the metro area. Ultra High Net Worth Individuals are defined as having a net worth of at least 30 million U.S. dollars. How would you rate the wealth management industry in Europe?